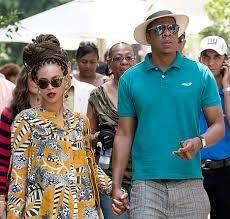 Jay-Z received criticism over a week ago from Republicans over his travel to Cuba to celebrate his 5 year wedding anniversary. It was a silly complaint by Republicans as, the Obama Administration in 2012 eased the travel restrictions to Cuba with a policy known as “people-to-people” travel. Jay had all his paperwork for this travel, but it was an opportunity for Repubs to take a distant shot at President Obama as Jay-Z has a good relationship with Obama and the White House. Now you have the White House Press Corps making WAY too much out of the following lyrics…. Was there nothing else to talk about in the world? SMH, it’s pretty sad that the White House Press Secretary has to even answer a question about Jay-Z and Beyoncé traveling to Cuba. What’s next? The White House commenting on Rick Ross and Mollys??? ?